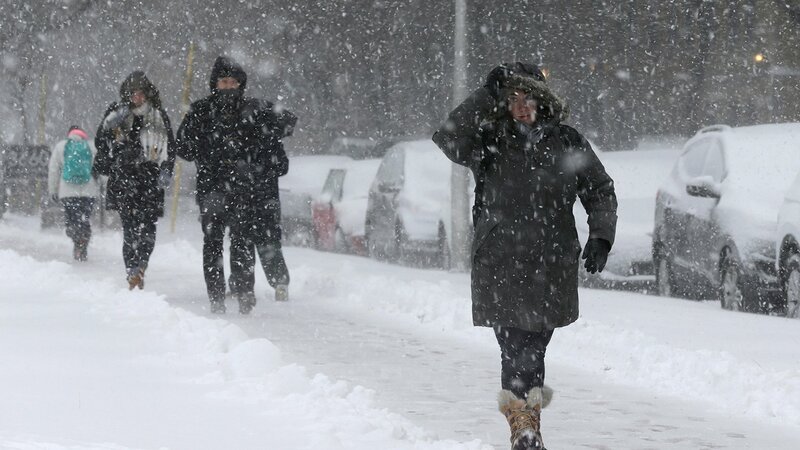 CHICAGO (AP) — Illinoisans are preparing for a second winter storm in a week as a system is set to move across the state bringing up to 9 inches of snow and high winds. The National Weather Service issued a winter storm warning for Friday evening through Saturday evening for northern and central Illinois. The Chicago area is forecast to receive 5 to 9 inches of snow through Saturday followed by chances of lake effect snow Sunday. Elsewhere in Illinois 4 to 6 inches are predicted with wind gusts up to 35 mph. Forecasts say travel could be difficult with blowing and drifting snow causing reduced visibility. Last weekend’s winter storm registered record snowfalls for parts of central Illinois with 11.5 inches of snow falling on Springfield over three days.